It’s finally spring time here in the Midwest! Well, more like summer lately with the heat, but no seasons can ever be clear-cut here. 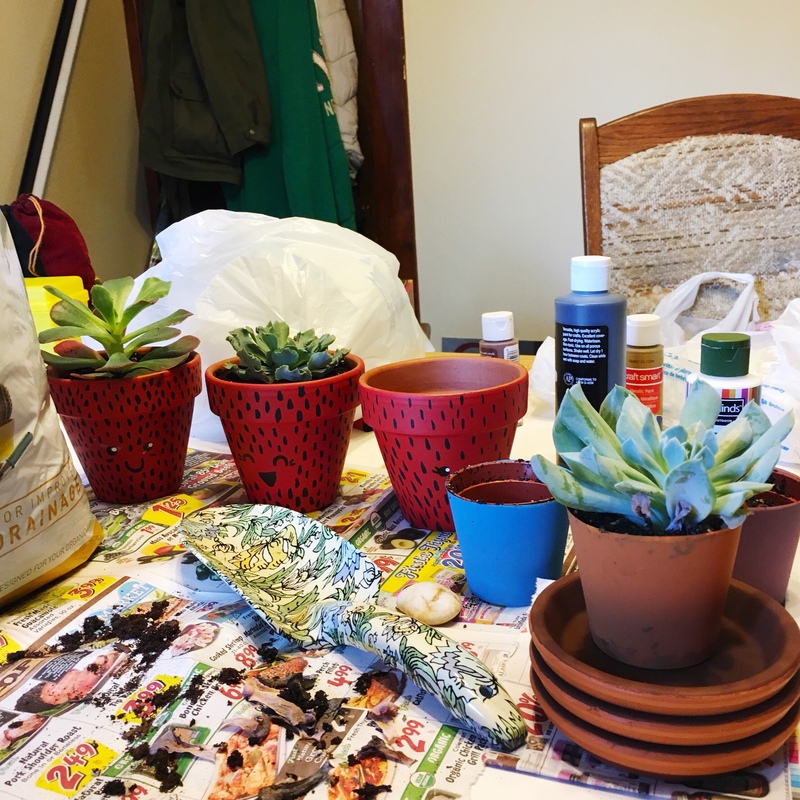 I’m not particularly known for having a green thumb and my fiance has a determinedly black thumb, but I wanted some greenery around the house. And of course I wanted it to be cute greenery. 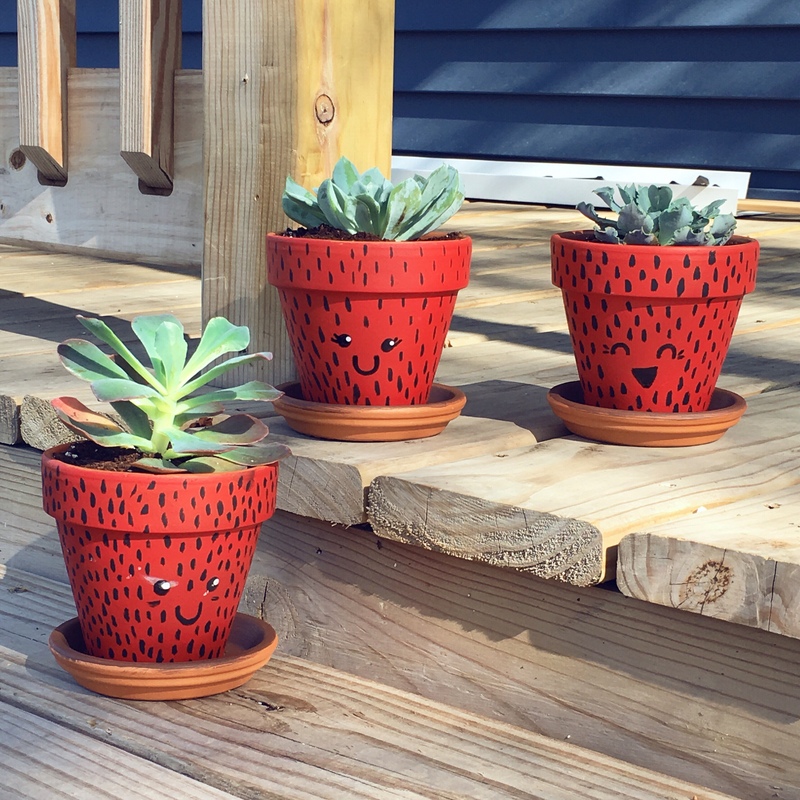 So I got some terra cotta pots and some paint. I also got myself some acrylic sealer. 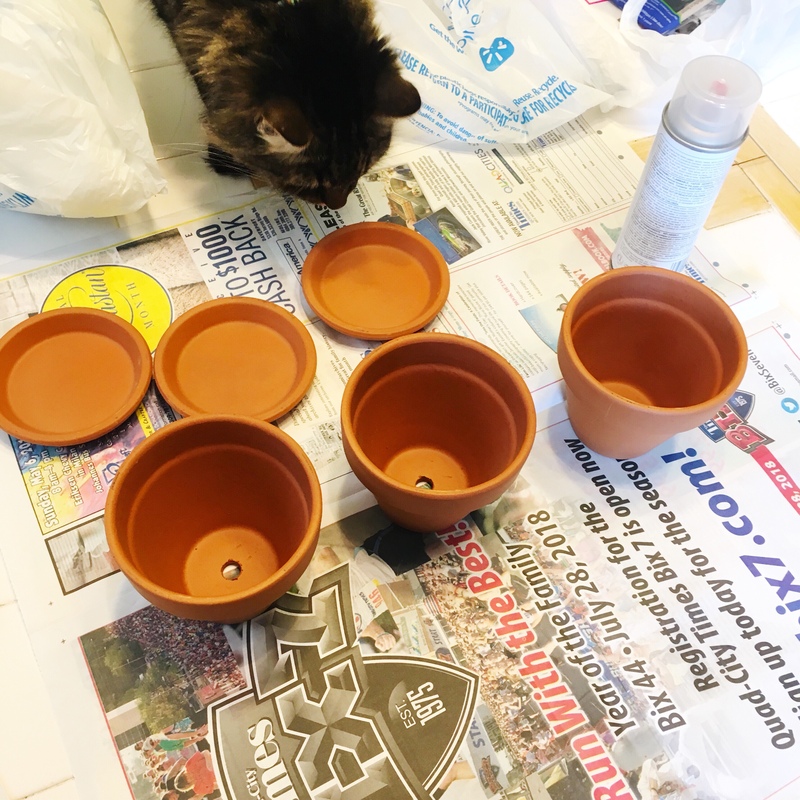 From tips on the internet, spraying the inside of the pots is supposed to help keep the paint from being sucked in to the terra cotta. I sprayed four coats, leaving each to dry for about 15-20 minutes, per directions from the canister. The paint took really well with the sealer! 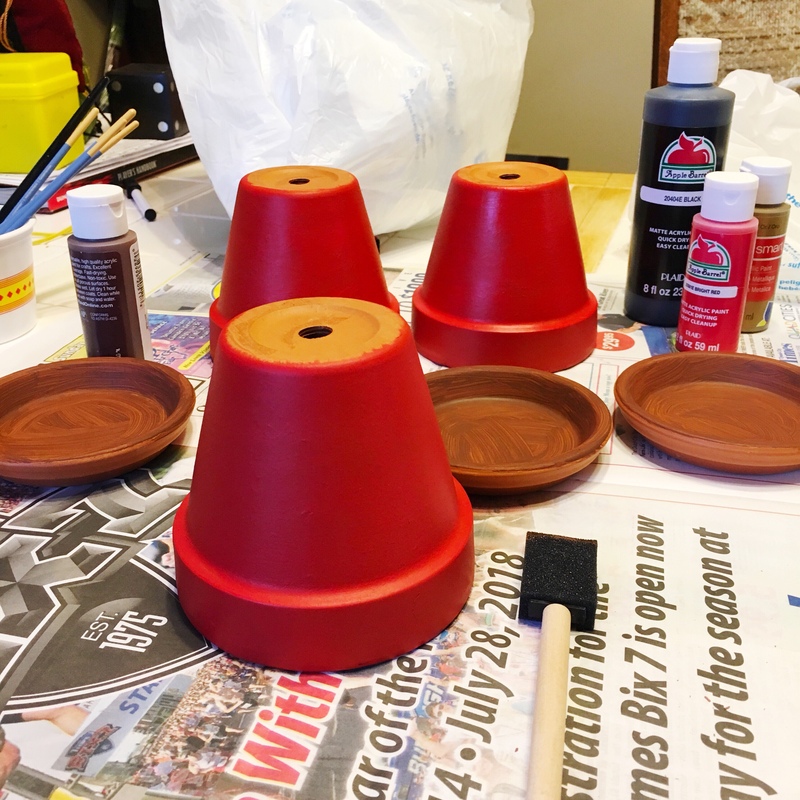 It only took me two coats of paint to get the bright vibrant red. I painted the saucers brown, like dirt. Then it was time to add the strawberry seeds! I didn’t have a plan for how to paint the seeds on other than to just go with it. 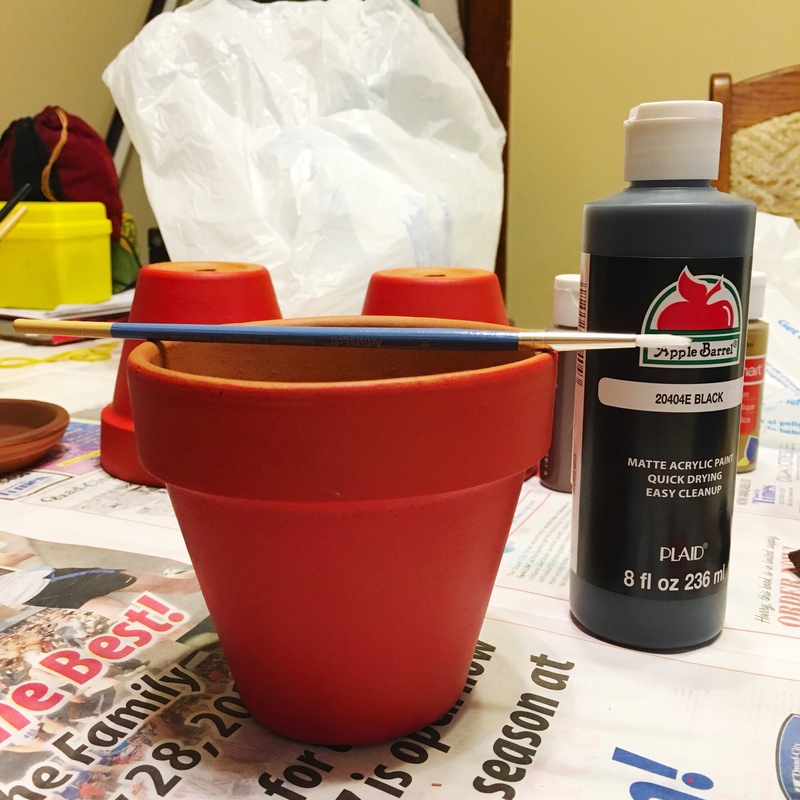 The first pot didn’t turn out the greatest. The seeds were too clustered together and overwhelmed the red. Also, the white I put in the eyes didn’t have enough time to dry before I handled it, so I smeared white paint all over. The second and third pots were better. I learned how I want to space the seeds if I make more pots like this.